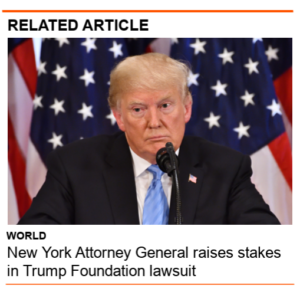 US President Donald Trump is still under fire for allegedly using his foundation to advance his political campaign after a Manhattan judge denied an attempt to throw out the case. 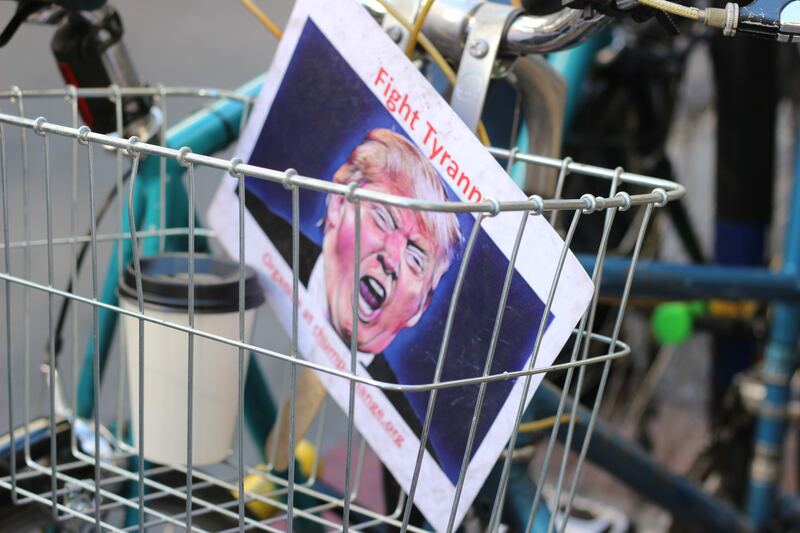 Trump’s lawyers attempted to dismiss the case commenced by New York state Attorney-General (AG), Barbara Underwood, on the grounds that the courts lacked jurisdiction over Trump, that claims are barred by the Statute of Limitations and anti-Trump bias. However, New York Supreme Court Justice, Saliann Scarpulla, said that the case would continue due to the alleged wrongdoing taking place before Trump took office. 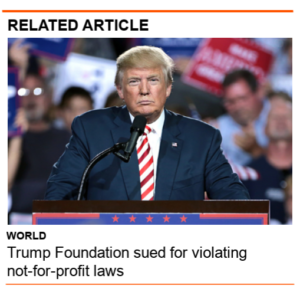 Underwood filed the civil suit in June, alleging that Trump and three of his children ran the Donald J Trump Foundation “in persistent violation” of state and federal laws. The AG office claimed the charity was used as a “piggy bank” for Trump’s 2016 campaign. The suits claimed that up to $US3 million in funds was used to boost Trump’s campaign. In addition, it will seek to find out why the foundation spent $10,000 on a giant painting of the US President himself, among other exorbitant spending. In one particular incident, Underwood is alleging that Trump held a fundraiser in the lead up to Iowa Republican caucuses as a campaign event to boost popularity. She is claiming that the campaign chose the recipient organisations, how much and when the recipients would receive the funds. At least one check was sent by a campaign member. Additionally, Trump presented checks to recipients at several campaign rallies in Iowa in the days prior to the caucuses. When awarding a check at a campaign rally in January 2016, Trump allegedly referred to the check as “our first disbursement”. Scarpulla found the President was not “immune” from state lawsuits, as he claimed in the litigation. Pointing to Clinton V Jones, a 1997 US Supreme Court decision that permitted a sitting president to be sued, Scarpulla noted that Trump is “subject to the laws” for all “unofficial acts” completed before taking office, including with his charity. Scarpulla also rejected claims that anti-Trump bias permeated the AG Office. The former New York AG, Eric Schneiderman, who resigned in May following allegations of physical assault, was a long-time Trump foe, the family’s lawyer claimed. “In response, [Underwood] argues that this proceeding, which has commenced after Eric Schneiderman left office, is based on a legitimate, thorough investigation by the Charities Bureau that revealed illegal and unethical activity by the Respondents. “Given the very serious allegations set forth in the petition, I find there is no basis for finding that animus and bias were the sole motivating factors for initiating the investigation and pursing this proceeding,” Scarpulla said. Underwood is currently seeking $US2.8 million in restitution and additional penalties, as well as to dissolve the Trump Foundation under court supervision. The suit will ban Trump from running a New York not-for-profit for the next decade.